“Carl”, one of his teammates said to him as he was sitting on the bench. “Someone is here to see you, he asked “Where’s Carl Erskine?” Carl made his way to the front of the dugout. Sure enough there was somebody there, it was Jackie Robinson. Carl went up the dugout steps to meet him. 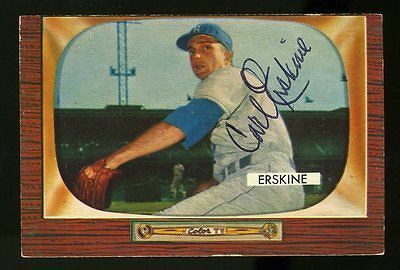 Carl Erskine was a minor league pitcher for the Brooklyn Dodgers top farm club in Fort Worth. The year was 1948 and young Carl was given the opportunity to pitch in an exhibition game against the Brooklyn Dodgers. He pitched well for six innings facing the best the Dodgers had to offer. Now here was Jackie Robinson already a star on the Dodgers paying a visit. Jackie Robinson was the first black to play in the big leagues and Carl had the utmost respect for him and what he had to go through. “Let me tell you young man”, Jackie began, “You won’t be long for this league, you’ll be pitching for the Dodgers before you know it!” They talked a little bit more and Jackie left. Carl had felt good about the way he had pitched but now he had an extra serge of confidence race through him. In his mind he played over and over again Jackie’s kind words! Inspired by those words Carl was determined to make Jackie right! It turned out that Jackie was right! Later that year Carl got the call to join the Brooklyn Dodgers and become one of their starting pitchers! Until the computer and email took over hand written letters were a way of communicating our love. I remember when I was young we would get letters often from my grandma in Alabama. She would tell us all of the news going on around there and dad would write her back with all of the news here. Of course there was a two or three day delay from when the letter was sent until it was received. Before I could write or even knew the letters of the alphabet I would “write” my mom letters trying to imitate the squiggly lines I saw in my grandma’s letters. Mom would invariably ask me what it said and of course I had no idea. I thought she could interpret and read something into what I created. There wasn’t a communications problem with grandma’s letters. It made my parents happy to get her letters and feel the love she was sending! Besides letters to his beloved wife Rachel, Jackie also wrote letters to people in high places. When he felt an injustice was done or that someone had the power to rectify a situation you could count on Jackie taking up the cause with pen in hand. His life revolved around others and he felt like he was just someone trying to make a difference. It was with this humble attitude that Jackie developed a friendship with a young man that lasted for years! It was an improbable relationship between a boy and a man. 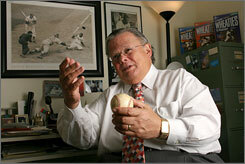 It started when Ron Rabinovitz’s dad David sent a letter to Jackie Robinson. The Rabinovitz’s lived in Sheboygan Wisconsin and Jackie agreed that the next time the Dodgers were in Milwaukee he would personally meet young Ronnie age 7! Jackie also enclosed an autographed picture for young Ronnie. When the Dodgers did come to Milwaukee Jackie kept his word. He met Ronnie and his dad and introduced Ronnie to other members of the Brooklyn Dodgers. Ronnie was thrilled as Jackie gave him a baseball and had all of the players he met sign it! 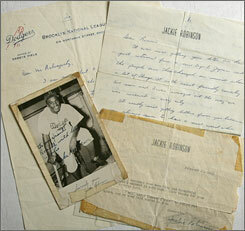 Carl Erskine was asked to tell how Jackie Robinson affected his life the most. It didn’t take Carl long to answer. Carl had four children and the fourth was named Jimmy. Jimmy was born with down syndrome and because of that he was always a special needs kid. Carl was able to relate to Jackie Robinson’s plot with the Dodgers and his struggle to be accepted. He was able to fight the battle of acceptance for his own son much like Jackie had fought for acceptance of his race. Carl is happy to report that although change was slow it came. Now kids in this dreaded situation are accepted much more readily in our society. Carl learned from Jackie that no matter how hard the fight results can come when we stay the course and continue to battle! As Ronnie pulled out his album with his letters from Jackie he had to choke back tears. Besides the free flowing hand written notes there were telegrams congratulating him on his bar mitzvah and high school graduation. Also there were pictures of him and Jackie together. 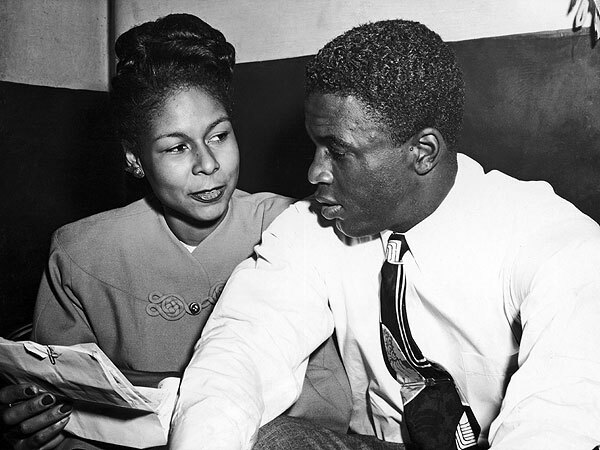 Not shown in the album were his memories of Jackie’s telephone calls and visits when the team was in Milwaukee. Dinners they shared together at a place named Eugenes in Milwaukee where a main lobster dinner was just $5.00! As Ronnie pulled out his baseball that is over 60 years old now he went over the signatures of the players he met. All of the big names on the Dodgers seemed to be there except one. In his quest to put others first Jackie simply forgot to sign Ronnie’s ball. That’s OK with Ronnie. All of the players who signed that baseball were people that Ronnie didn’t know. The fact that Jackie didn’t sign with that group seems only right. His friendship with his friend and mentor Jackie couldn’t be expressed with just an autograph. Great article. Jackie Robinson sounds like he was a great man. What a GREAT story Lewis and such a powerful last sentence!! “A life is not important except for the impact that it has on others” a wonderful thing to remember.